Applies to plastic films, sheets, rubber, laminated films, extrusion films, foils, paper, medical patches, release paper, non-woven fabrics etc testing of various items, such as tensile, break force, elastic modulus, elongation, seal strength, T-style peeling strength, 90 peeling strength, 180 peeling strength, widely used in food & pharmaceutical industries, quality inspection departments as well as research and development institutions. 8: ISO, ASTM standards test available and non-standard test available. 9: Electronic limit, computer preset, non-mechanical limit. 10: Overload protection, less power consumption. 11: DB9 RS232 communication port . 12: Tensilyst workstation support. 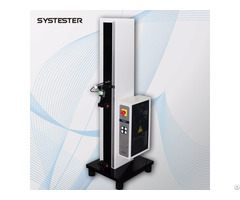 13: Tensile, break force, elastic modulus, seal strength, 90 peeling strength, 180 peeling strength test available. 14: Historical data traceable, system log. 15: 5 degrees user management. 16: Group test, auto multiple curves display, auto statistic calculation. 17: DSM system is optional(Laboratory Management Information System), easy to manage test data. 3: Max travel distance: 1100mm. 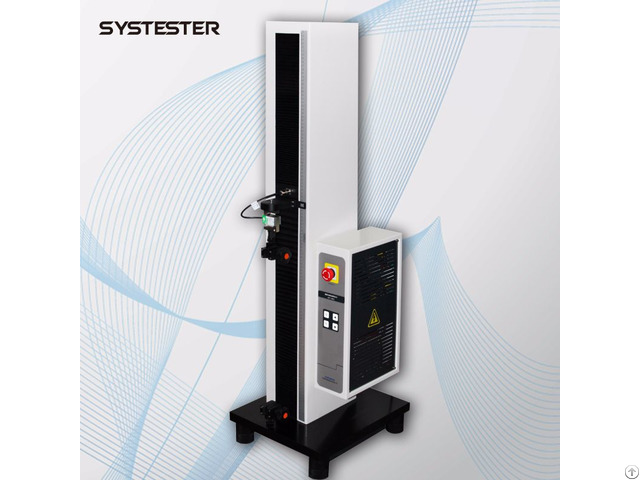 4: Test speed: 0.1mm/min – 1000mm/min. 5: Displacement accuracy: less than 0.01mm. Delivery: main unit, professional computer software, servo system, fixtures, communication cable. 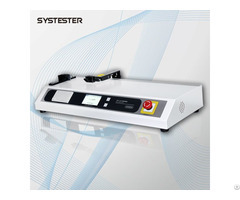 Optional: Sample cutter, test plate, roller, non-standard fixtures, calibration assemblies, DSM system. Note: Specifications are subject to change without prior notice.